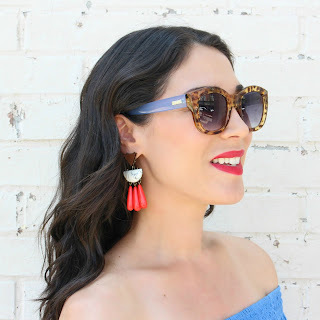 Style in Harmony: Instagram Round Up + LIKEtoKNOWit Info! I'm very excited to let you all know that I've recently been accepted to rewardStyle! Many of you are probably familiar with LIKEtoKNOWit, but in case you aren't, let me explain. This means that you can now easily shop my Instagram posts (@styleinharmony) by simply "liking" the photo. All you have to do is sign up at www.liketoknow.it and then you will receive e-mails with directing shopping links! Also, if you download the LIKEtoKNOWit app, you can shop right from Instagram with a screenshot. Since it's been awhile, I thought it was time to post an Instagram round up! 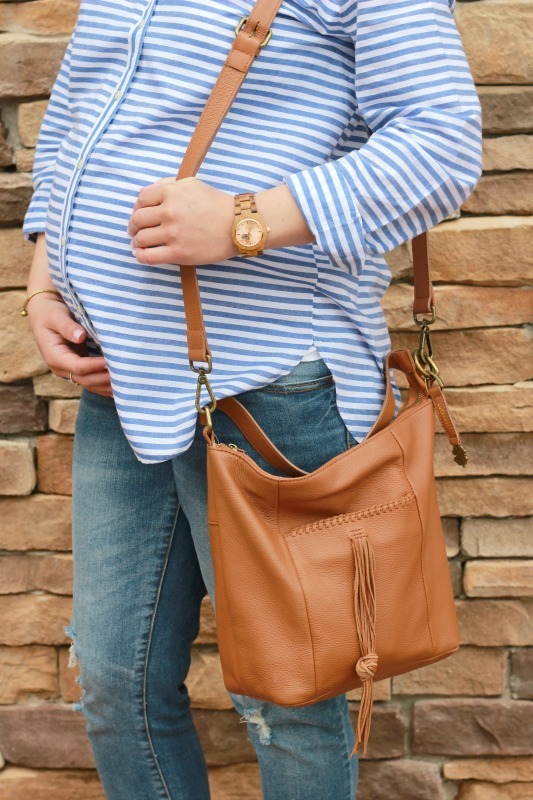 Since I'm nearing the end of my pregnancy, I haven't been doing much shopping and my wardrobe is VERY limited (can't wait to shop for normal clothes again! LOL). I still wanted to share my recent outfits with you all, even though many items have been on repeat lately. Most of these clothes/accessories are available and on sale! There is also a mix of maternity and non maternity clothing. Comment below if you have any questions on sizing, etc! Absolutely love this off the shoulder dress with the cutest tie sleeves! 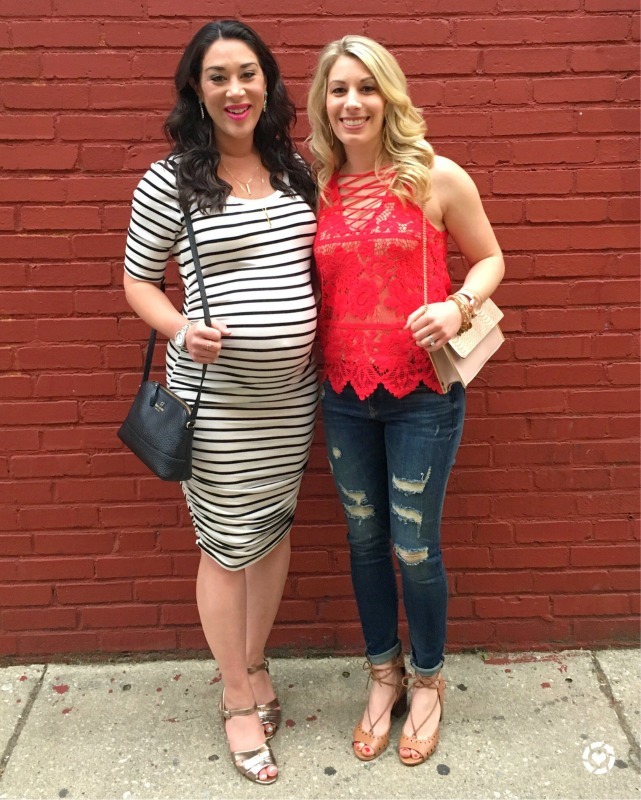 This picture was taken in Philly on Saturday night...we went out to dinner to celebrate my sister and bother-in-law's 30th birthdays! 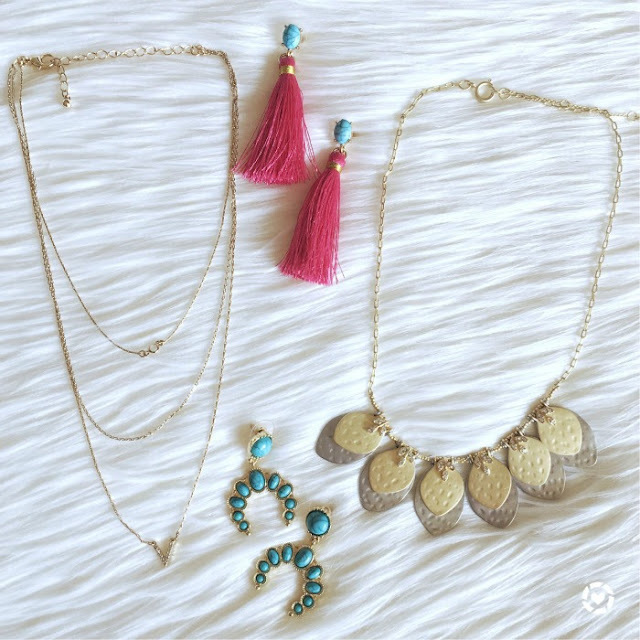 These summer jewels have been on major repeat lately! I wore this outfit to church this past Sunday. 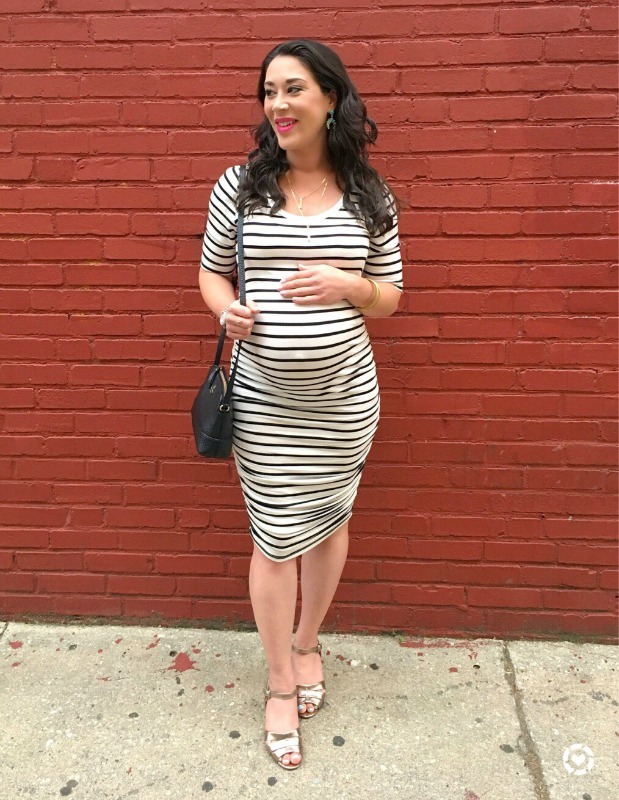 This striped maternity dress from Target is so comfy and has been a 'go to' lately! 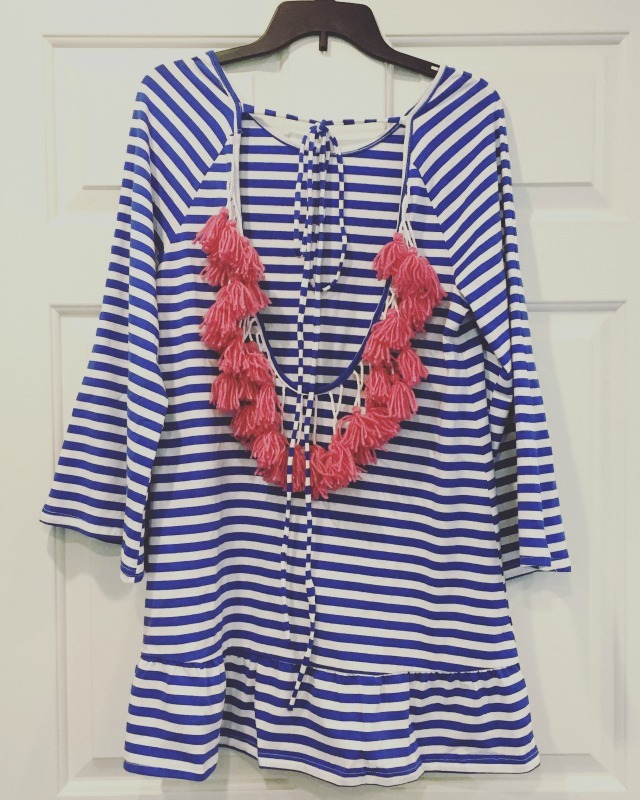 This is such a cute beach/pool cover up and a great price (this is a pic of the back)! Another pic from Saturday night! For more daily outfit posts like these, follow me on Instagram @styleinharmony! I especially love you in the striped dress. I also love how you're playing with accessories. I look forward to seeing your shopping sprees after the baby!!! I want your metallic kicks in a bad way! They were an awesome find at a Nine West outlet near me! I've had a lot of people ask about them and I wish I could find the exact pair again!! First, congratulations on RS!!!! That's exciting!! I love the round up. 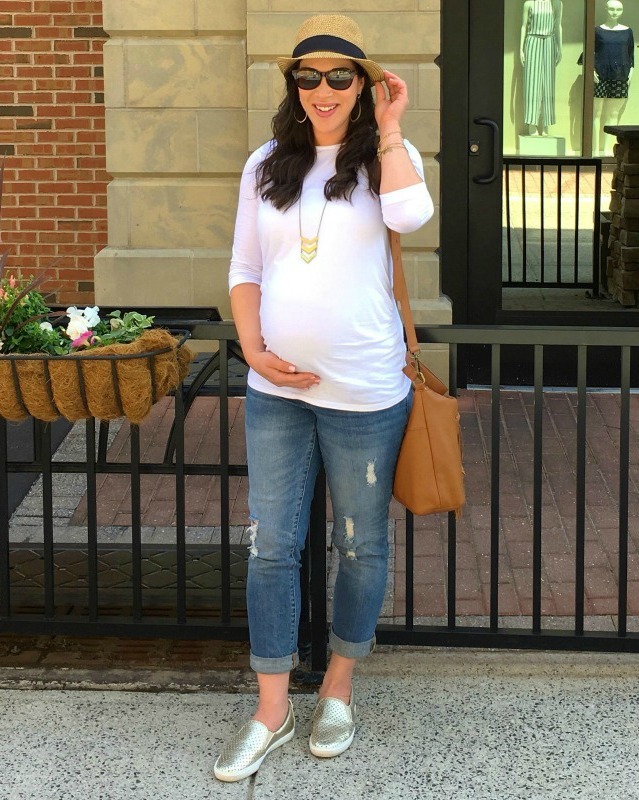 My favorite in the white top and distressed jeans...so chic and looks so comfy! !